This informative guide to riding and pony care is suitable for all horse enthusiasts, from complete beginners to experienced riders. Filled with photographs, detailed illustrations and simple, informative text, this book provides an inspirational guide to the world of horse ridin... read full description below. 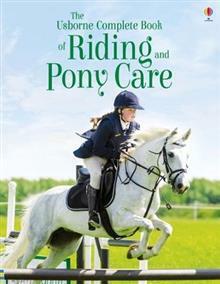 This book will delight anyone who loves horses, from complete beginners to experienced riders. With stunning photography and detailed illustrations it describes everything from tacking up and mounting to what to do when a horse bolts, preparing for a country ride or a three-day event. Includes links to websites with more riding tips and advice.